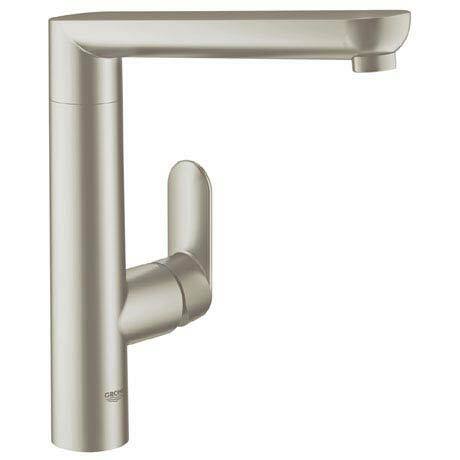 The K7 kitchen sink mixer is a stylish tap with a high swivel spout and features GROHE SilkMove technology for smooth handling of water flow and temperature. This stylish tap is manufactured using high grade materials and finished in scratch resistant SuperSteel, a matt stainless steel look that is sure to be an eye-catcher in your kitchen. All Grohe kitchen taps come with a 5 year guarantee.